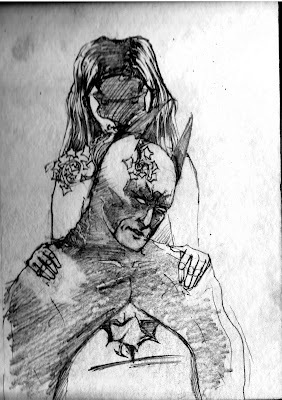 Sketchblog! : Ooo Ooo, first post! Obligatory first post to introduce my sketchyblog that I really hope to keep up on, but chances are won't. Anyway, here's some recent stuff I've been working on: The first is the early sketch of a watercolor I'm currently working on. 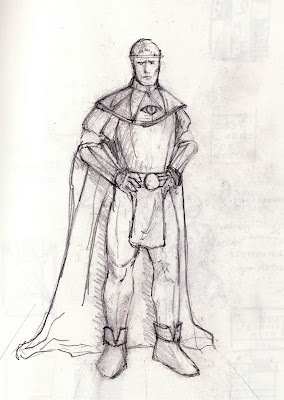 The next s Ozymandias concept sketch I did for a custom which is staring at my with a fierce gaze that only an uncompleted figure could give. 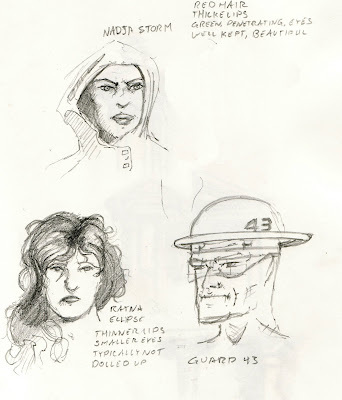 The last is some general sketches for some characters for a story I never wrote, save for Rayna Eclipse who is always an ongoing work. I expect she'll be making some appearances in this thread before long.